How do human beings show their love? With smiles! Ingrid Marn has been travelling the world since she was a child, capturing people in diverse locations and situations, yet with so much in common. 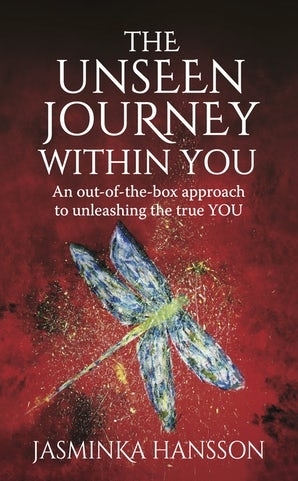 This book is a celebration of life and humanity, containing the heart-warming affirmation that we are positively and delightfully all connected. In Smiles from Around the World, Ingrid Mårn presents a narrative of travel, learning, personal growth, and the subtle impact of globalization on the life and mind of a young person who is European by heritage and global through experience. Ingrid accomplishes that which few are able to: the bonding of prose and photograph to communicate the combination of personal and collective experience. While this work contains personal reflection, deeply enmeshed is the impact that others have had on her life, and her personal and professional growth through her encounters with peoples of the world. One also finds a subtle expression of hope for her children as for children all over the world, that some day the similarities in their collective personalities, goals and ambitions, desires and travails, will help to make this a more peaceful, less violent world. Ingrid Marn was lucky to grow up around the world in a family that dedicated over three decades of service to the word though FAO, the Food and Agriculture Organisation of the United Nations. Her father put a Canon A1 in her hands when she was a child and taught her to photograph, which became her special language, her way of expressing herself to promote understanding and respect among different cultures. Ingrid is a world photographer. She believes we should all use our skills to make the world a better place for everyone. Smiles from Around the World tells the story of her personal journey and those who she met along the way, through her photographs. Smiles from Around the World tells a unique story about a fascinating family and their experiences. The book gives so many insights into the daily life of different people, happenings and life experiences. It is however the photos that bring the book to life and where “the smiles” make us happy. The world is smaller than we think and there is still so much happiness and faith in people around the world and more smiles are what we need. Ingrid Marn is all that a photographer should be - a storyteller. She captures a moment and tells a story. She wants the beholder to be part of something greater than the self, beyond the perception of ‘I am one, separated from others’. With beautiful pictures and heart-centred texts she invites us to be part of something greater. And that for me is what it’s all about. On meeting Ingrid the first thing you notice is her warm and radiant smile, secondly you notice her passion for life and for capturing moments in time. There is something very special about Ingrid that you will not find in many people. Ingrid's book is more than a story, after only a few pages you feel as if you have known Ingrid all her life. I know this book and the images contained in it will inspire people to see the world as Ingrid does. They say 'a picture paints a thousand words'. Certainly this is true for Ingrid Marn's Smiles from Around the World. But more than this, Marn uses her compelling photography to bring to life her own extraordinary story. Her words weave a bright mosaic of the fascinating people she has met and the causes she has championed around the world. Smiles will restore your faith in the human spirit - and reawaken the adventurer in you. There are many books on travels, logs, blogs and diaries but none has so beautifully captured the integrity, reality and humility of events photographically and personally with emotional content as this, I hope Ingrid will give more detailed account of the many photos in person by taking this book on a lecture tour to all nations, tribes and indigenous peoples of this world and return the “Smiles from Around the World” to each one in this book and those faces yet to be born to smile.